The value of security cameras is undeniable. Whether they are installed independently or in combination with intercom systems, they are the perfect solution for the proper surveillance of certain areas. They are important when parents must watch over their children, are invaluable equipment for public buildings, the ideal solutions for the surveillance of restricted areas and great crime prevention units. Good CCTV installation ensures excellent operation and we guarantee the best! As a pioneer in access control systems services, FC Locksmith provides services which make the difference! The technicians of our company are distinguished in Ontario for their excellence and tremendous capacities. Keeping track with the progress of CCTV cameras is part of our job and truly fascinating. Today, there are excellent choices for every company and residence in Toronto and our staff is here to make your life easier by offering solutions. Our services range from the installation of surveillance cameras to their replacement, repair and maintenance. When you have problems with the image, the transmission is not clear or there are wiring issues, you can rely on our teams. 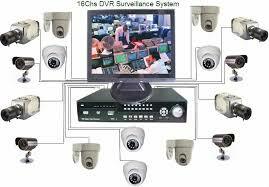 Toronto CCTV Systems are repaired properly regardless of the nature of the problem and as soon as possible. Our profound efforts to keep up with novelties and every little change in the market pay off during services. 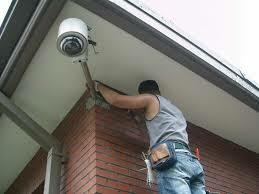 The excellent knowledge of our teams is the most valuable tool during repairs or security cameras installation. We install and maintain every type of camera whether it is for outdoor or indoor use, home or office application. We make sure that it is installed at the perfect position for full surveillance of a specific area and all connections are done with attention. All home and commercial CCTV system services are carried out with thoroughness, attention and dedication. Every little detail can make a great difference and that’s why we focus on each one of them and fix CCTV Systems in Toronto with accuracy.